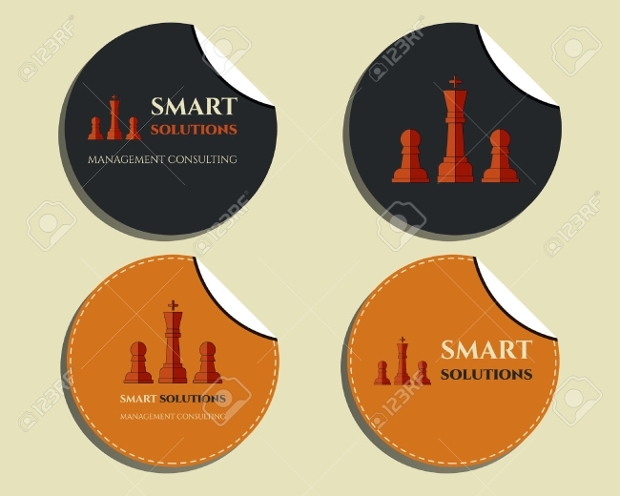 Stickers are a great way to personalise projects. 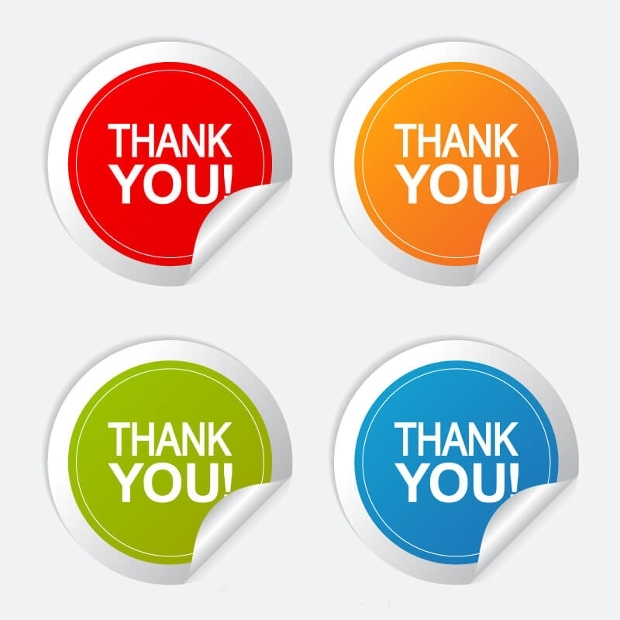 For every event, you can personalise the thank you cards, handmade scrapbooks and many others. 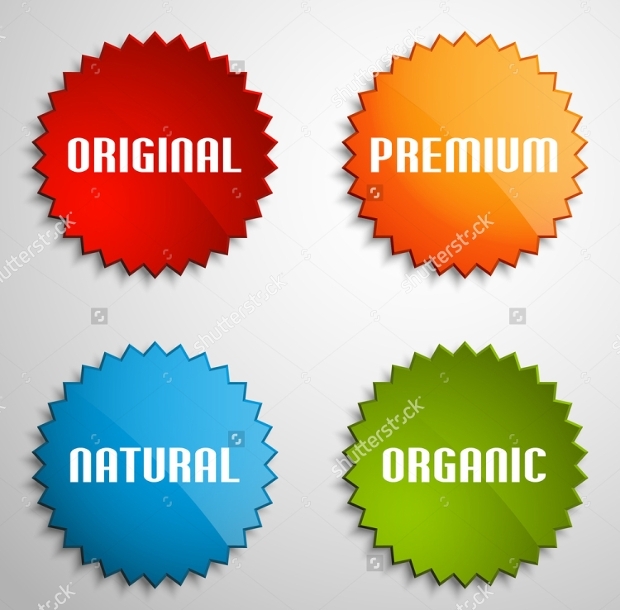 However, they are also great for creating a product design, such as bottle designs and company logo stickers in order to help advertise. 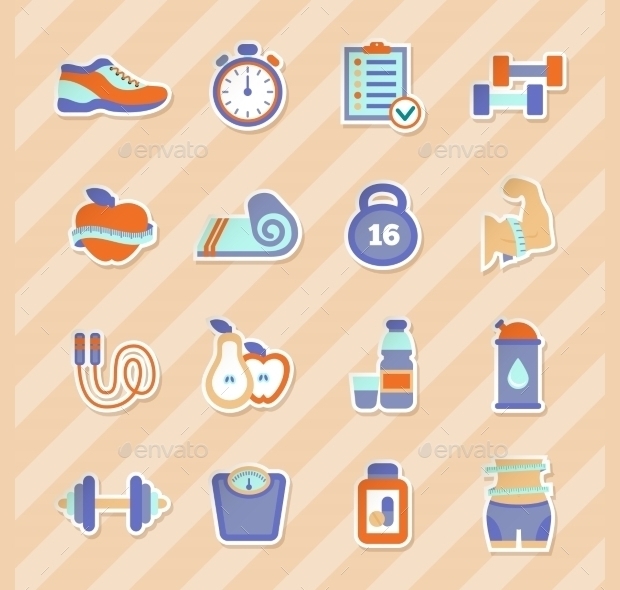 Stickers are incredibly useful and this list has put together some of the best designs in order to give you the best options. 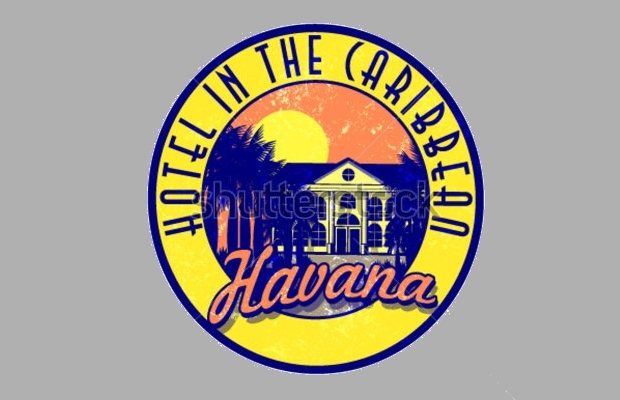 This sticker design is a cartoon image of the area’s most recognizable asset, as well as a large print of the area name, for example, Washington and Idaho. 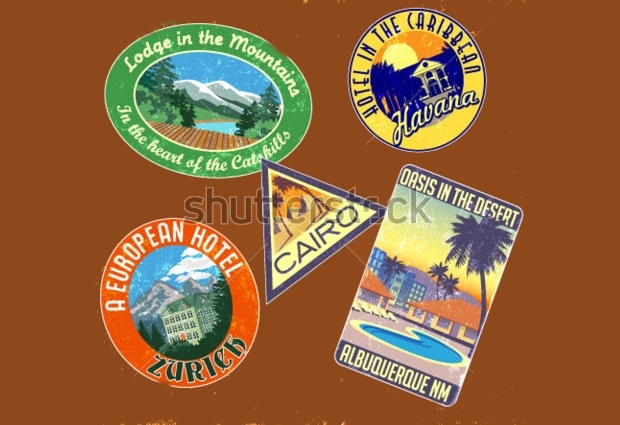 These stickers are specifically with U.S states, but can be customised for any other area. 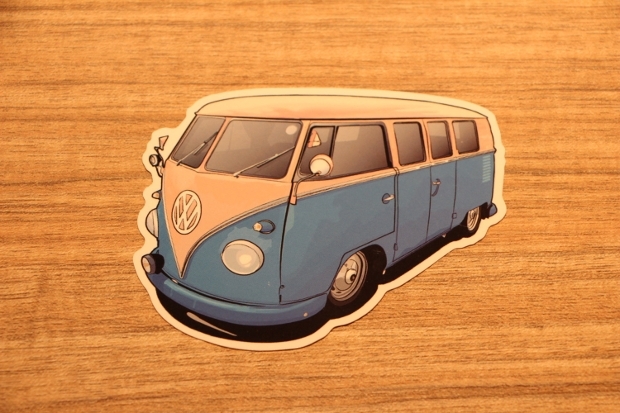 This sticker is ideal for a homemade product business, as it is a simple sticker with a slightly vintage feel. 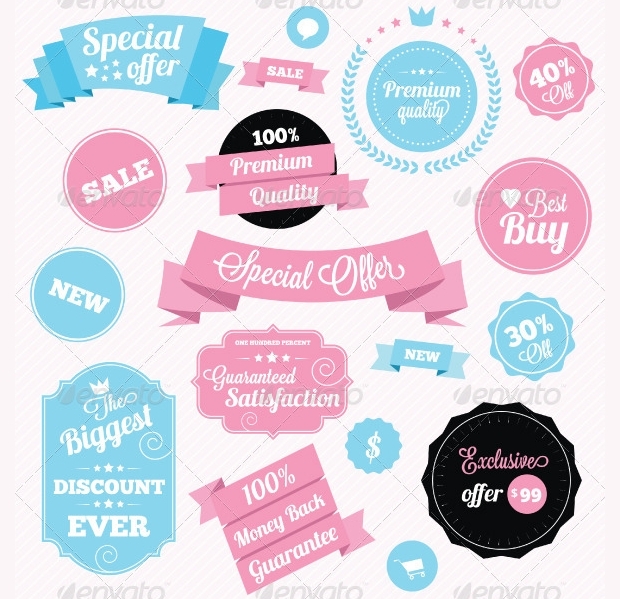 You can customise this sticker to incorporate your business logo and name as well as the product you’re selling. 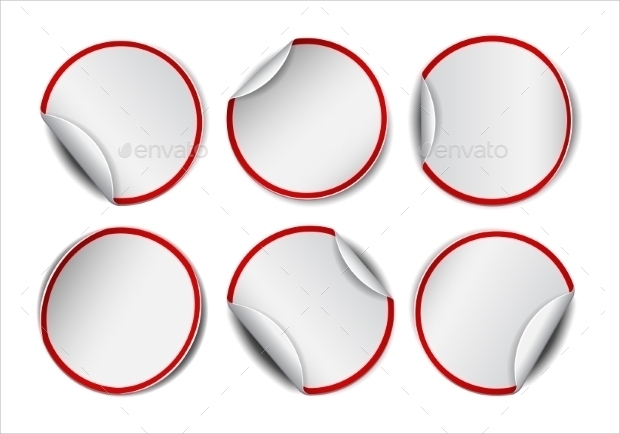 These round stickers are a white round sticker with clear black and grey writing and a grass image border. 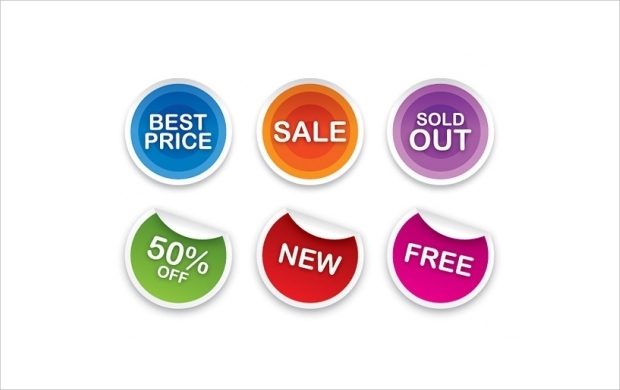 This sticker can be customised for a gardening business or other natural products as an advertising media. 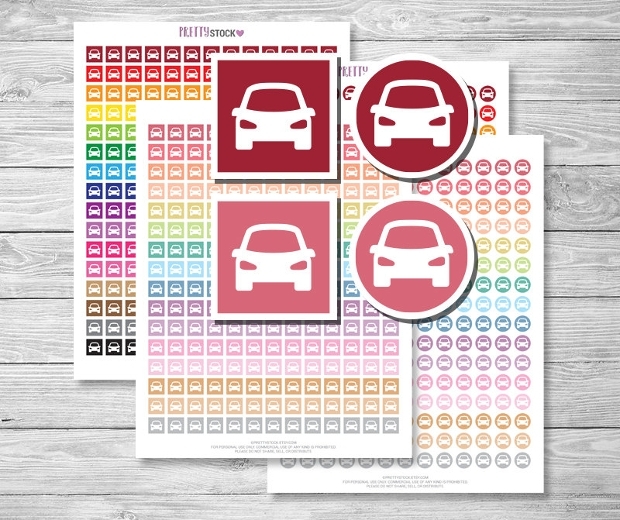 These car stickers add a feminine touch to any car with their simple designs and bright colours. 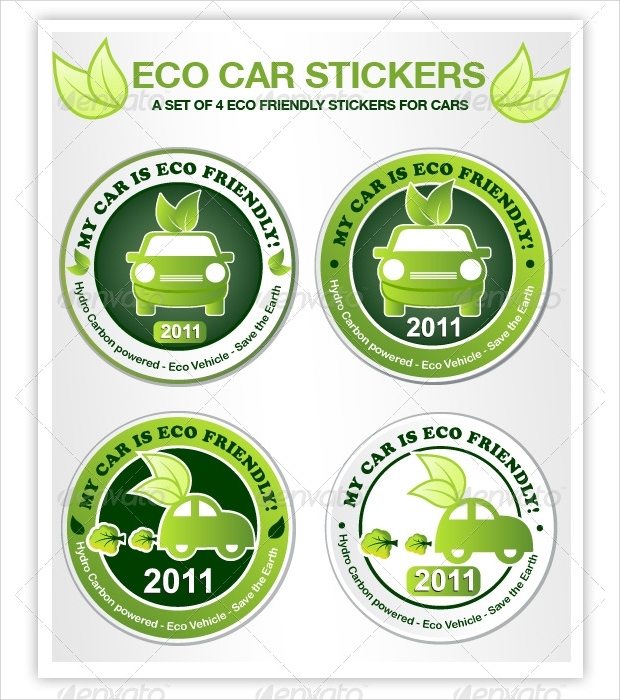 These stickers can be added onto your car to give it an original and pretty design. 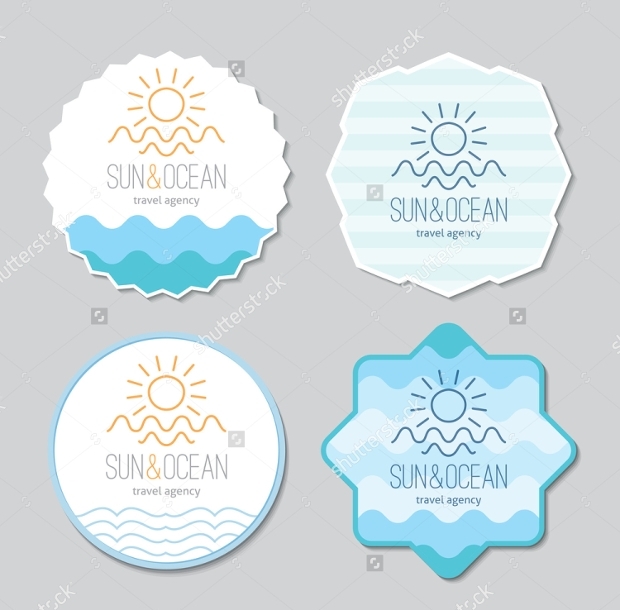 These designs are simple round stickers. 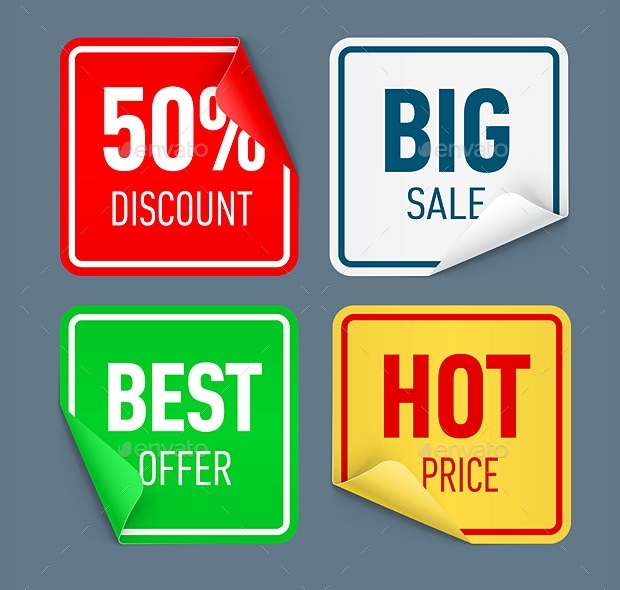 The stickers are black and white and totally customizable to your company logo and font so that you can develop a sticker to advertise your company. This van sticker design covers the entire body of the van so that you can develop a van to advertise your company as it drives around. 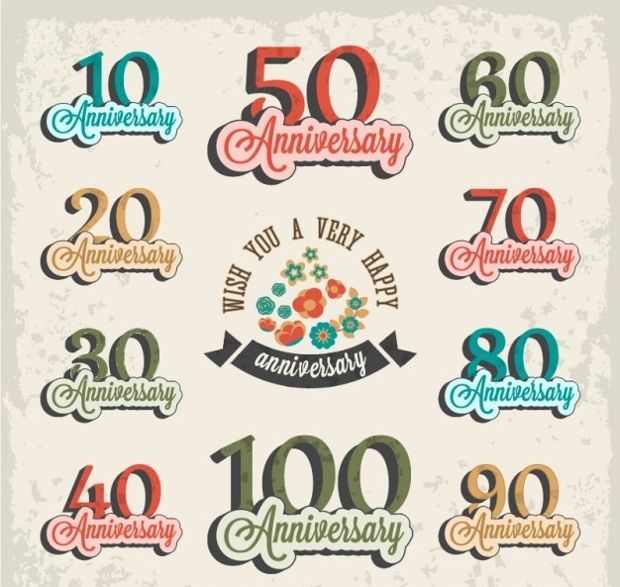 This design uses red and white to create an eye-catching design. 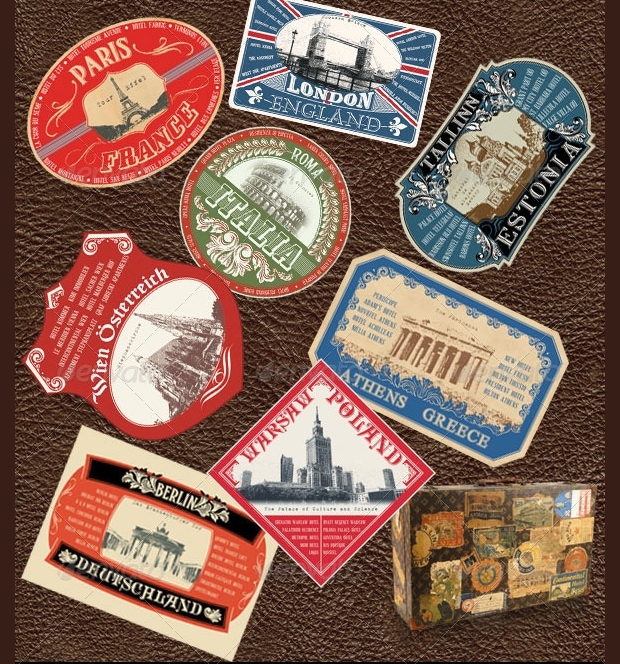 These bottle sticker designs use bronze, gold and green to create a vintage styled bottle sticker. 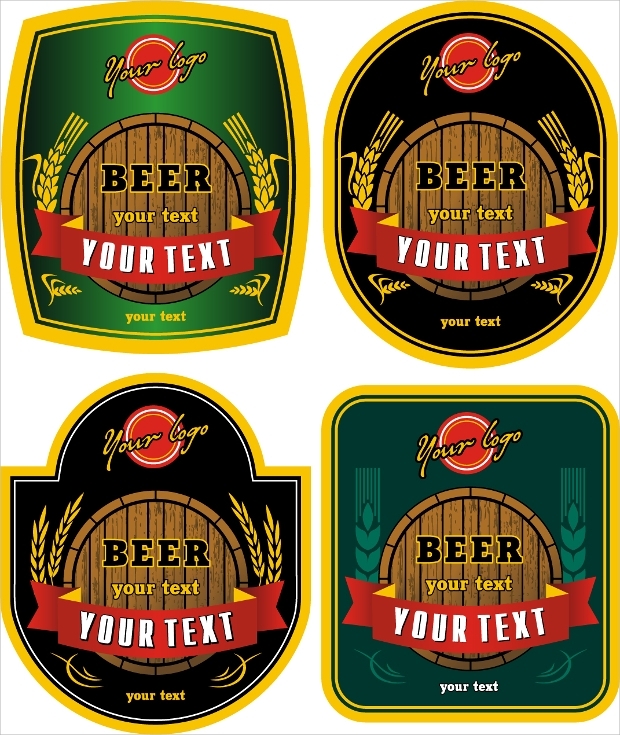 These designs can be used for any size bottle, and they are perfect for old style beer and lager bottles. 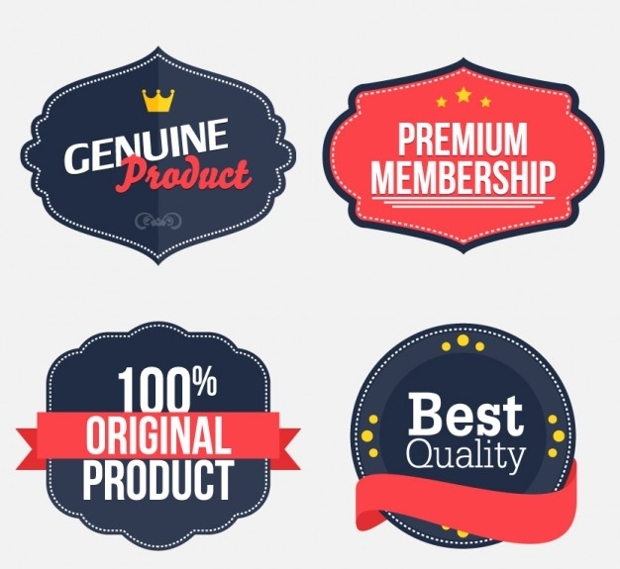 These bottle stickers are customisable to your brand name so that you can design them to your product. 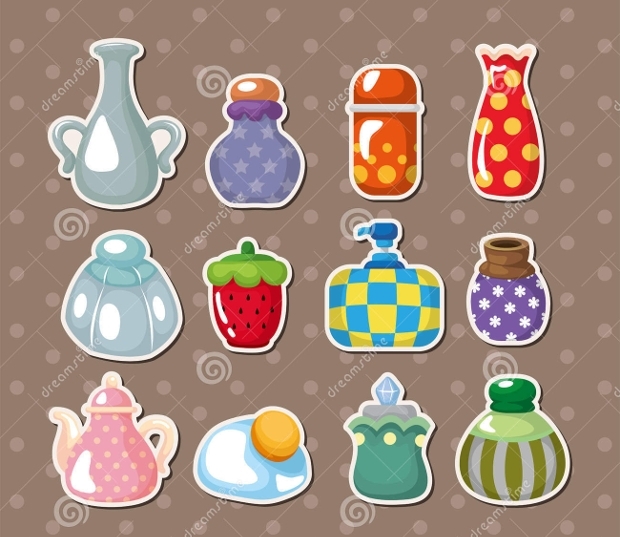 These paper sticker designs are in the style of vintage perfume bottles. 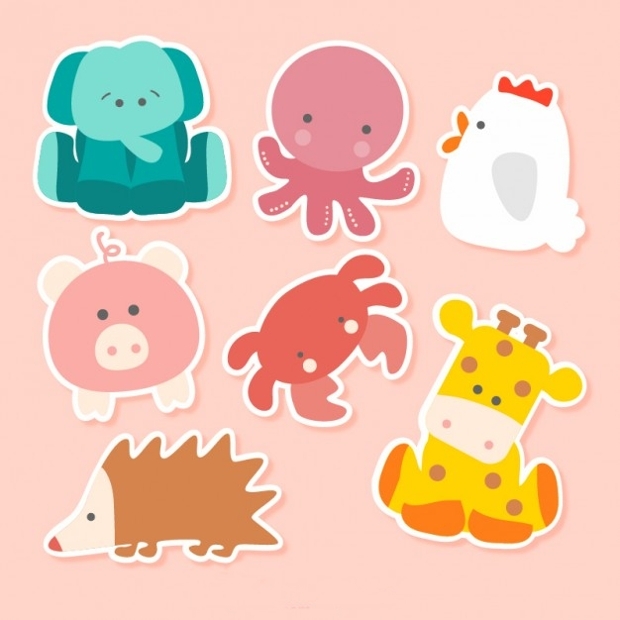 These stickers give a feminine feel to any artistic project or scrapbook, and they are perfect to add a pretty touch to personalised cards for women. 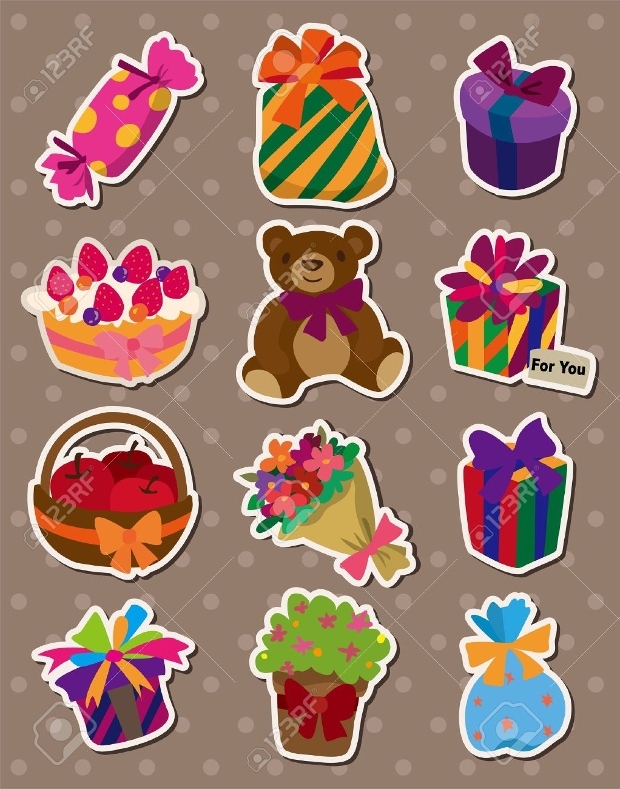 This sticker set can be added to wrapping presents, handmade cards and scrapbooks to add a pretty finish to the project. 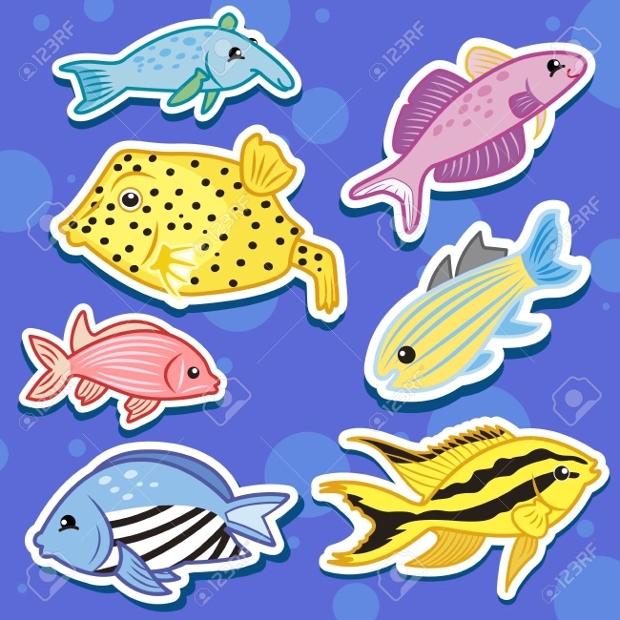 These stickers come in many different designs, so you can be sure to find one that suits your project. 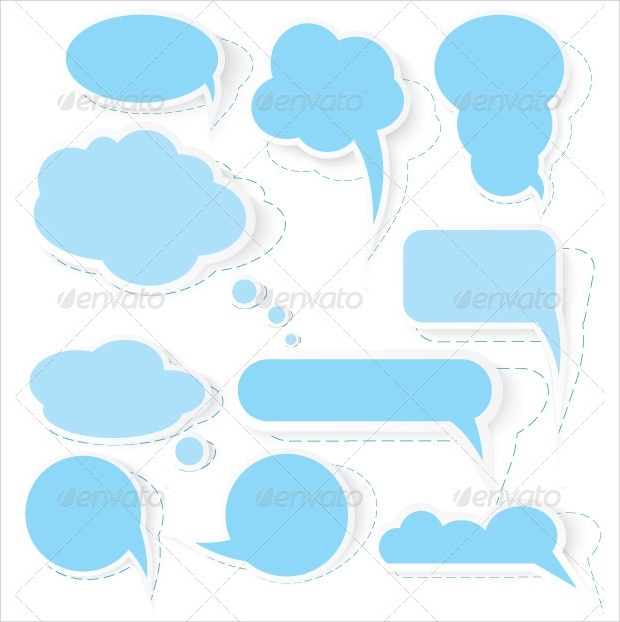 These bubble sticker vectors use the images of thought bubbles and speech bubble in different bright colours. 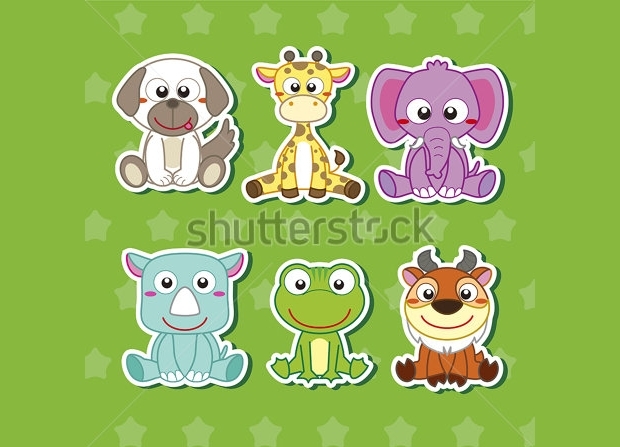 These stickers can be added to many different images and projects, such as cartoon images, customised cards and handmade scrapbooks to add a funny element to the project. This design is very cute, and perfect for a young girls birthday. 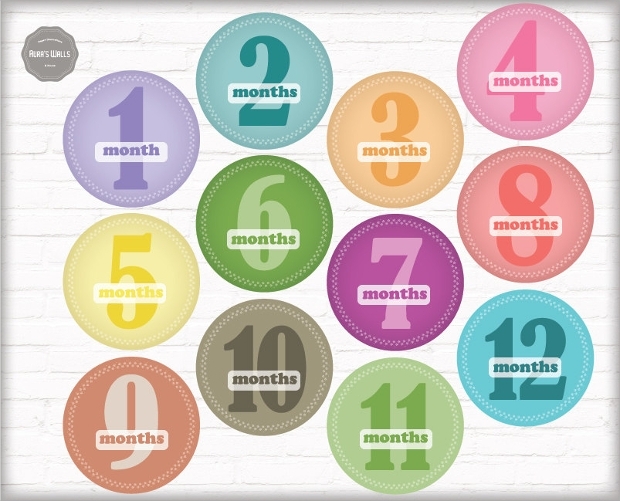 The age can be customised to the age of your child. 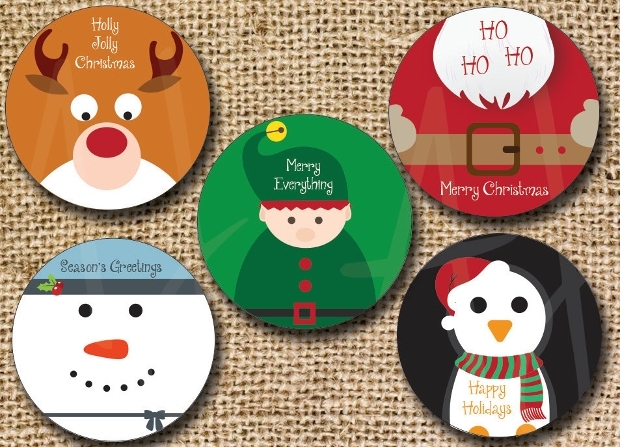 These Christmas sticker designs are a very festive design, using images of many different images that are associated with Christmas, such as snowmen, bells and elves. 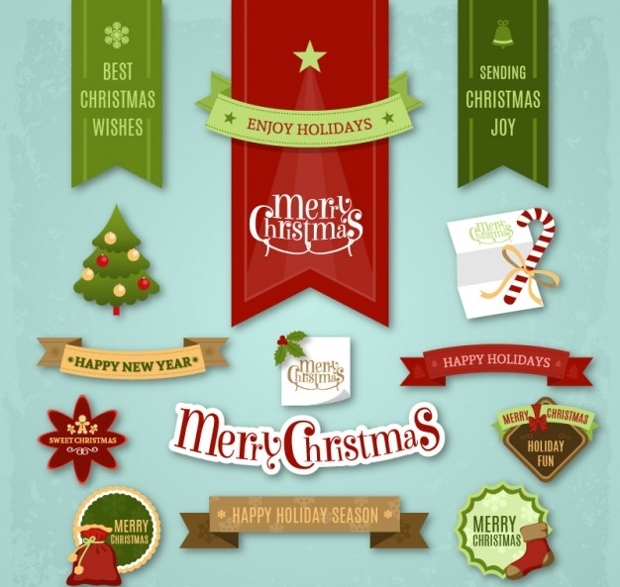 These stickers are perfect to add onto festive greeting card and pictures. 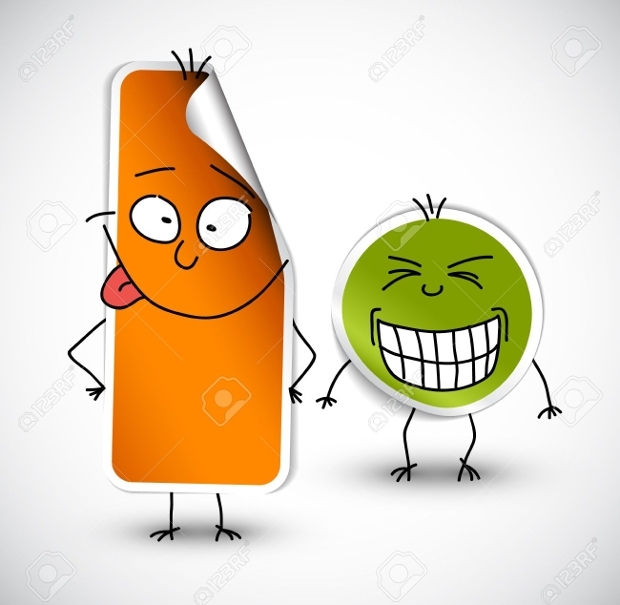 This sticker design is a funny sticker design to add onto the back of a workman’s van. The design uses a black and red background with white writing saying ‘the only tool on this van is the driver’ with the image of a wrench. This design is both fun and creative! 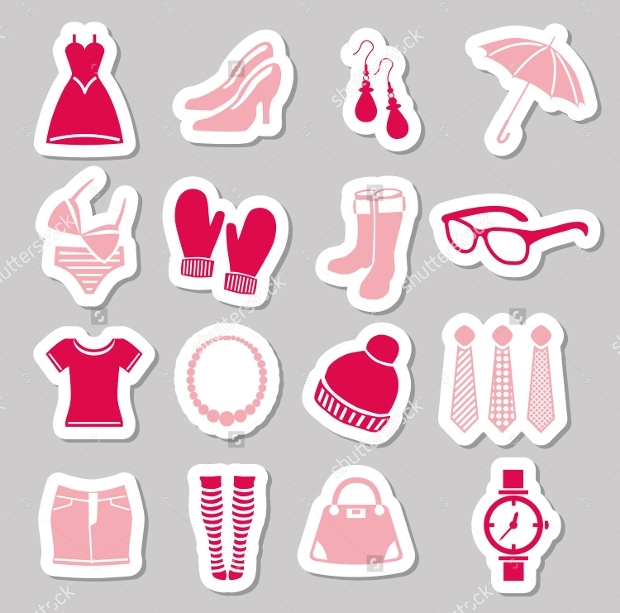 These sticker designs are all fashioned themes, using images of handbags, shoes, hats and makeup in order to create these cute and feminine sticker designs. 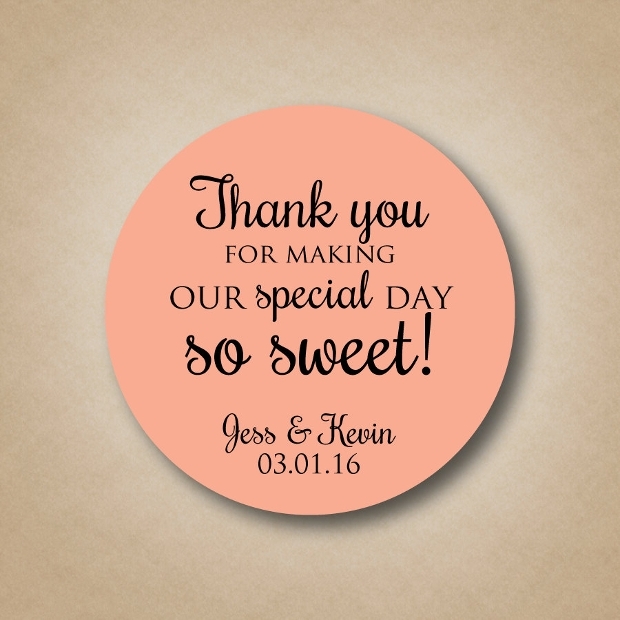 These stickers are perfect for customised cards and handmade scrapbooks to add a feminine touch to the project. 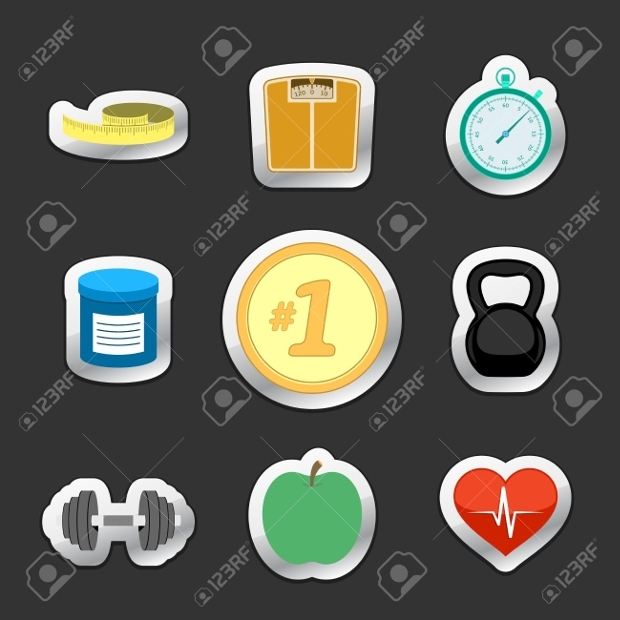 The design is a black silhouette and is perfect for a home gym in order to keep you motivated. 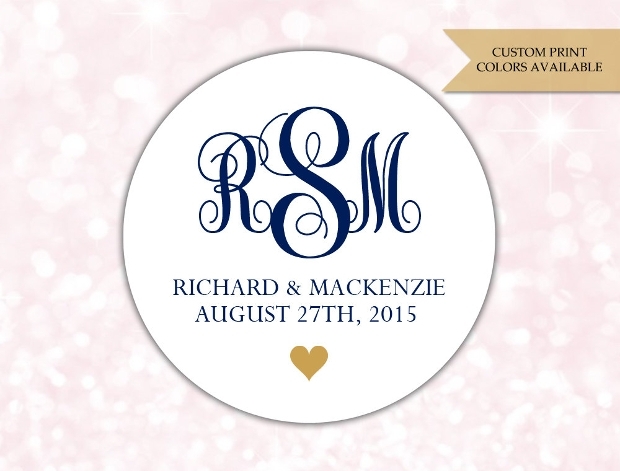 This design is very feminine and gives an elegant and personalised touch to any object that these monogram stickers are added to. 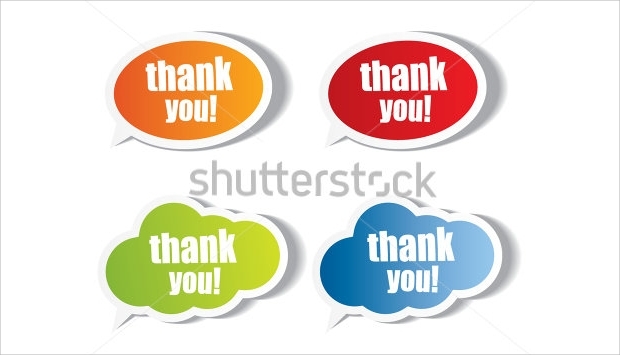 These designs are perfect for creating your own thank you cards for friends and family after birthdays or Christmas. 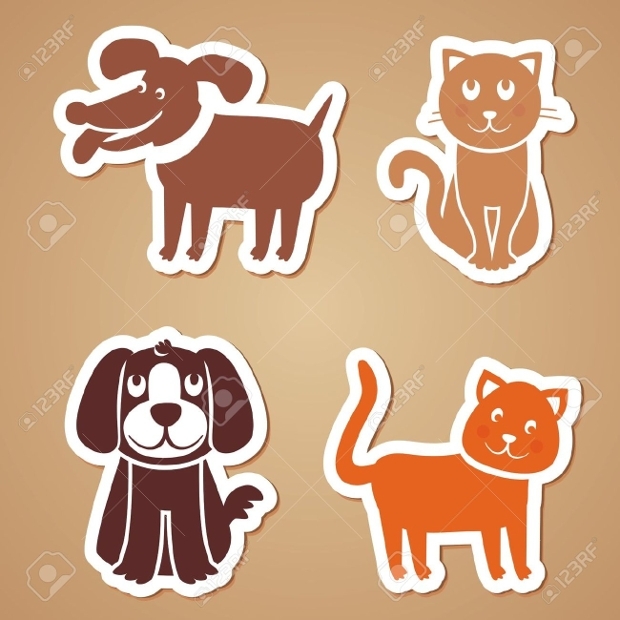 These animal stickers are cute cartoon images of the well-known animals to children, such as cats, dogs, chickens, and rabbits. 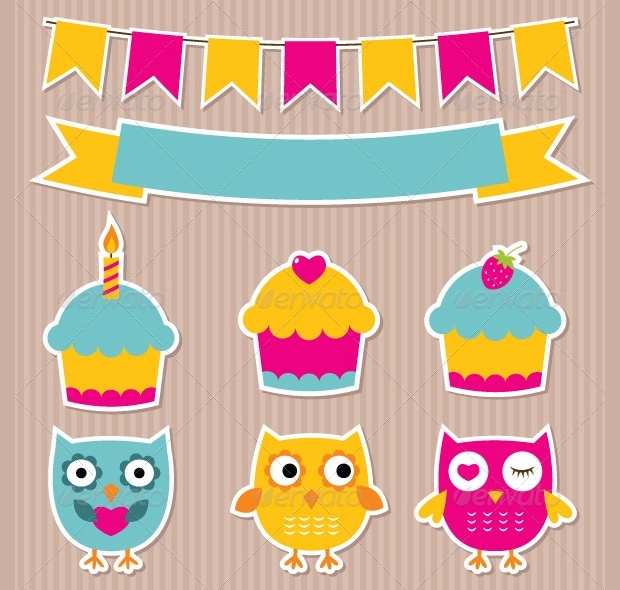 These stickers are perfect to add to birthday cards and handmade children’s gifts or picture books. 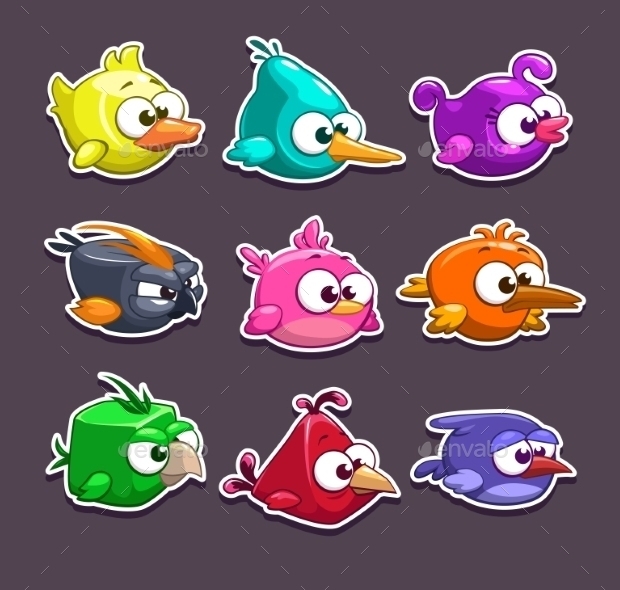 We are confident that this list will help you to find the best sticker options and some inspiration to get the best stickers for you. 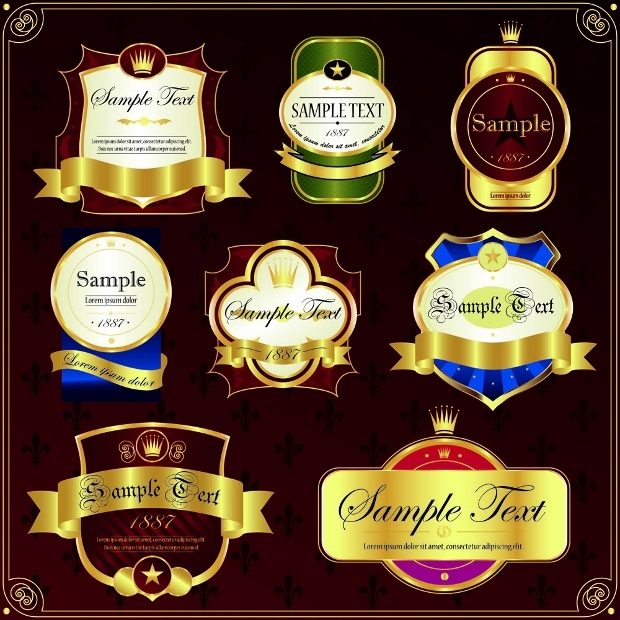 This list has been put together so that we cover a wide range of sticker designs, so there is an option for everyone, no matter what your project. 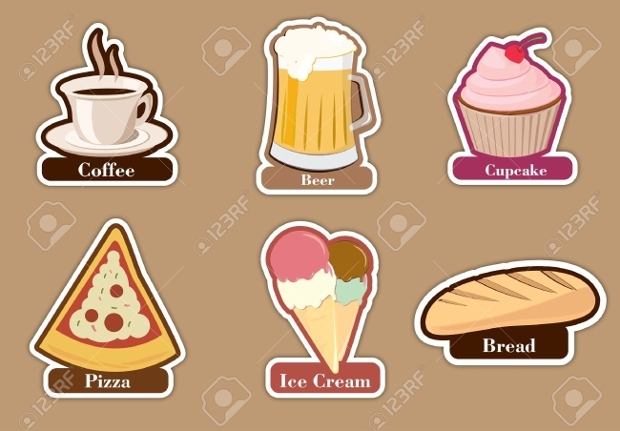 Importance of stickers Stickers add a personal touch to many different things, and they can also advertise the brand and company that a product comes from in order to gain more customers. Where are they used? 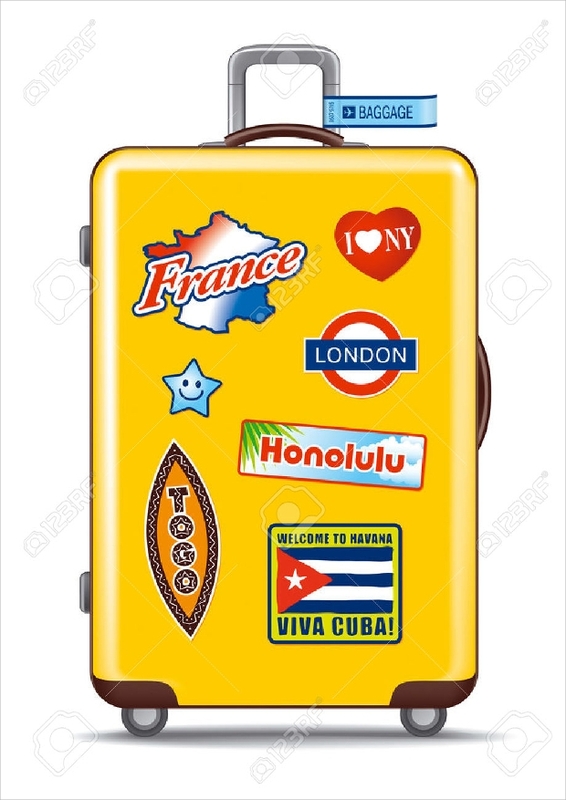 Stickers can be used almost anywhere. 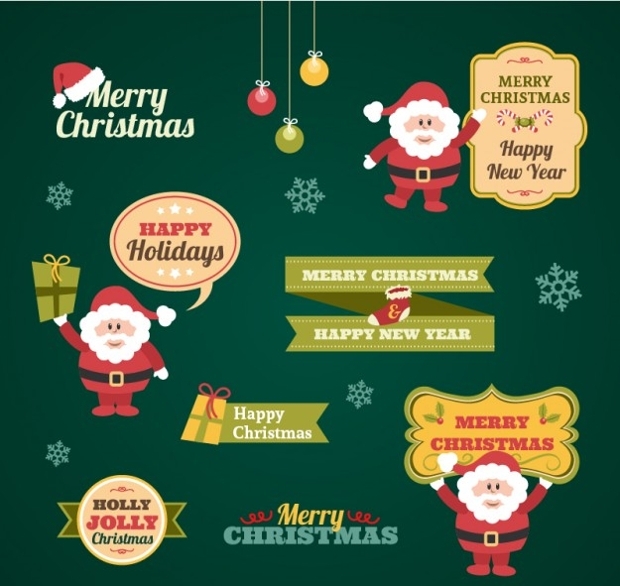 In handmade projects, they can be used in scrapbooks, greeting cards, thank you cards and many other areas in order to give a personal touch to the project. 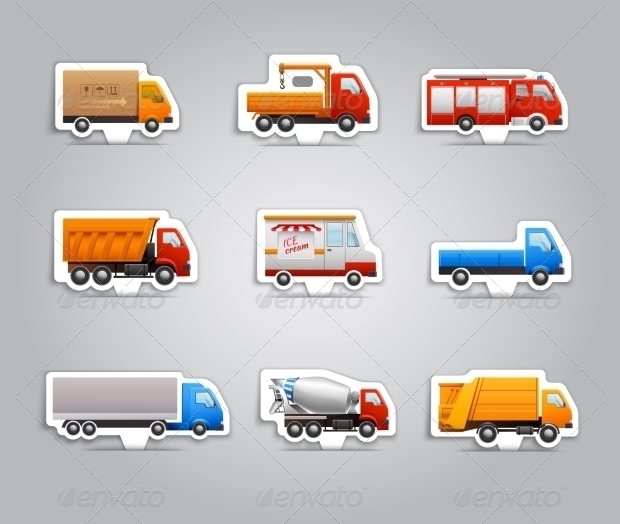 Stickers can also be used to advertise companies on vehicles, on products and in many other areas. The use of sticker is almost endless.